All the departments at a book publisher, whether traditional or self-publishing, work to get your magnum opus from manuscript to finished book. Here's the flow of the book publication process. First stop: The editorial department. The book's editor, in collaboration with the author, spends months helping guide the content flow of the book and the language of the text, whipping the manuscript into readable and publishable shape. At the same time, the editor is also working with his or her colleagues (as well as the author) to come up with a brilliant title and subtitle that will entice readers to the book. The book editorial process itself has several stages and the different members of the editorial team perform different functions. the book through printing and binding or e-book creation. While the book is being edited, designed and produced, the book publisher's marketing department and publicity department are working to prepare for launching the book into the marketplace. The marketing and promotion department works with the editorial department to develop tools (like seasonal book catalogs) and marketing strategies and plans to help get the books in front of the account book buyers. A book's online marketing and social media also usually falls under the marketing department. The publicity department is responsible for dealing with the broadcast and print online media, all potentially powerful assets in getting the word about a new book. The book sales departments "sell in" your book to the many and varied places who carry books—from small independent bookstores to wholesalers who supply other types of retailers, like gift stores. 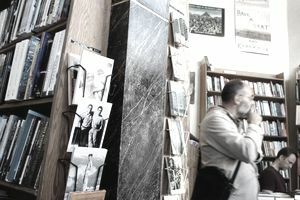 The sub-rights department also "sells" books—or, more specifically, the right to publish a book in alternate formats, different languages, and to adapt it for different media). All of these processes work toward the "launch" of the book into the marketplace, and many (sales, publicity, marketing) continue afterward as well to help "sell-through" the book—that is, get it out of the bookseller's hands and into the hands of the consumer.